Syed Amjad Ali on Twitter: "How to Add Custom Course Timer in Articulate Storyline 3 or 360? #CustomCourseTimer #elearning #ArticulateStoryline #AuthoringTool https://t.co/X5LEMA6VG0"
Syed Amjad Ali on Twitter: "New Features in Lectora 17: this upgrade is worth trying for an eLearning developer as it enables them to create seamless eLearning solutions. 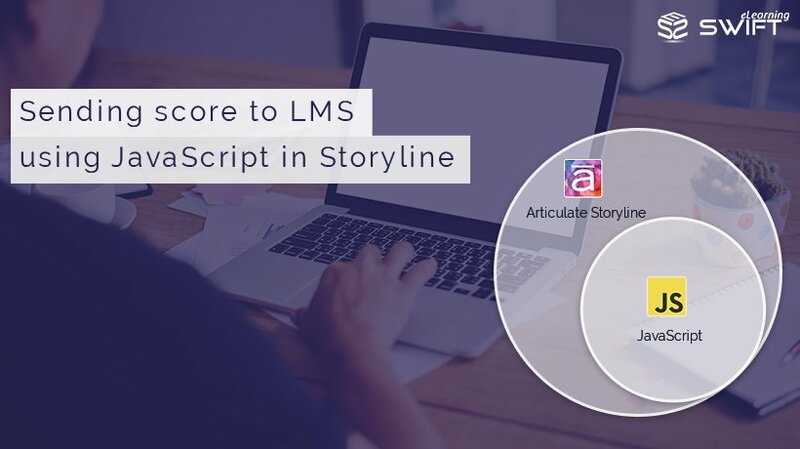 https://t.co/b7L3bIYL66 #swiftelearning #AuthoringTool #Lectora17 #Lectora16 #Lectora16vsLectora17 #eLearningDevelopment… https://t.co/ZBha85kEO0"
Syed Amjad Ali on Twitter: "Articulate Studio 360 also provides you with a user-friendly interface that is quite similar to Microsoft PowerPoint. https://t.co/xgDRwtCJV4 #swiftelearning #AuthoringTool #ArticulateStudio360 #Studio360… https://t.co/vdLd1QRiCD"
Syed Amjad Ali on Twitter: "E-learning Corporate Training: online corporate training programs will be beneficial to the withdrawn workforce #swiftelearning #CorporateTraining #Elearning #CorporateElearning #onlineTraining https://t.co/YMUDRtXUK5… https://t.co/t5mzqPsUfC"
Syed Amjad Ali on Twitter: "Articulate 360 RISE Review: Flexible tool for creating responsive and basic eLearning courses especially micro-learning #swiftelearning #Articulate360RISE #ArticulateRISE #ArticulateRISEReview #AuthoringTool https://t.co/Trste1VClw… https://t.co/5tdZxVGmoY"
Syed Amjad Ali on Twitter: "SCORM Vs. Tin Can API: Which one to choose for Tracking? #swiftelearning #SCORMVsTinCanAPI #SCORM #TinCanAPI #xAPI #ExperienceAPI #eLearningTracking https://t.co/pGOWd6dfmG… https://t.co/q5uXXeMZSH"
Syed Amjad Ali on Twitter: "Elucidat: The online Authoring Tool Saves over 50% in production time while reducing eLearning development costs #swiftelearning #Elucidat #elearning #AuthoringTool #eLearningDevelopment https://t.co/XdGAgdqEYF… https://t.co/ht3v964xjT"
Syed Amjad Ali on Twitter: "Custom HTML5 timeline for Articulate Storyline 360 #swiftelearning #elearningDevelopment #CustomHTML5 #CustomTimeline #CustomSeekbar https://t.co/7hAooHE4f1… https://t.co/E6TyItIhKe"
Syed Amjad Ali on Twitter: "How to add a Custom Course Timer in Articulate Storyline 3 or 360 #swiftelearning #elearning #CustomCourseTimer #CourseTimer #eLearningDevelopment https://t.co/cBfpkr533f… https://t.co/BVl7yDTuLA"
Syed Amjad Ali on Twitter: "Elearning in Manufacturing Industry to meet Training challenges and bridge the skills gap #swiftelearning #elearning #OnlineLearning #training #ManufacturingIndustry https://t.co/Qiqceuyr9F… https://t.co/Mdj99TmBgd"
Syed Amjad Ali on Twitter: "ELearning Maximizes ROI: ‘Investing in HR’ has already become a regular organizational strategy of all modern companies. #swiftelearning #elearning #OnlineLearning #ROI #Training #ElearningCourses https://t.co/lWKlXnPORN… https://t.co/C6Si0PeufZ"
Syed Amjad Ali on Twitter: "5 Common Mistakes to Avoid While Selecting a Learning Management System #swiftelearning #elearning #CorporateTraining #LMS https://t.co/w5o1r3fCBM… https://t.co/JgVSLGKRkp"
Syed Amjad Ali on Twitter: "How to Create Custom Volume Controls in Articulate Storyline 2? #swiftelearning #AuthoringTool #elearning #ArticulateStoryline2 #Storyline #CustomVolumeControls https://t.co/89NTasWPiV… https://t.co/Pa9lDicbDj"
Syed Amjad Ali on Twitter: "How to Turn Training Investment into Business Profit? #swiftelearning #elearning #CorporateTraining #Training #TrainingTnvestment #ROI https://t.co/KVvc1qB9I9… https://t.co/SWGct4Qnnh"
Syed Amjad Ali on Twitter: "Simplification of eLearning Design for Effective Course Content #swiftelearning #elearning #elearningContent https://t.co/ZqPdGJXSOZ… https://t.co/gr8xp5Eq5J"
Sign In With Twitter to get your own link blog! © Cube Root Software. 2014 | Design HTML5 UP.